Summary: Light rain throughout the week, with high temperatures rising to 79° on Sunday. Celebrating raising money to help nontraditional women students complete their education at the American Association of University of Women’s Book & Author Luncheon are, from left, Donna Stegner, the daughter of the namesake of the Janet Watson Scholarship, Demerise “Risa” Cormier, the recipient of the scholarship, Scholarship Committee Chairwoman Kathleen Adams and Hannah Howard, the recipient of the Virginia Shoser Scholarship. 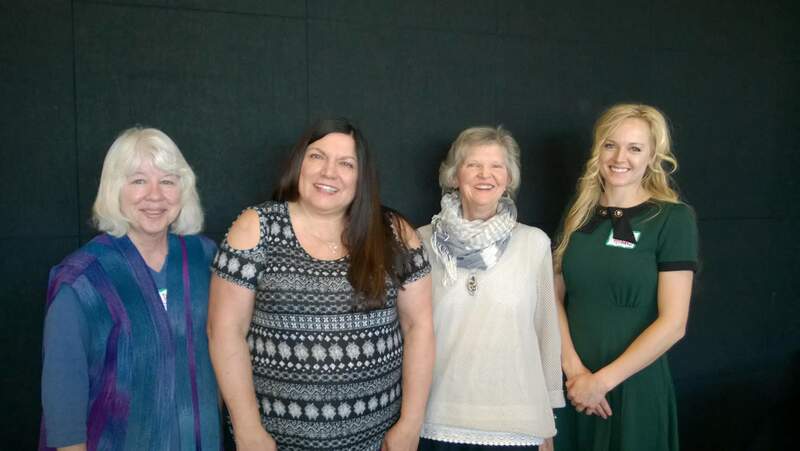 Susan Dalton, author of Durango: Silver Past, Golden Future, was the featured speaker at the Durango Branch of the American Association of University Women’s Book & Author Luncheon on March 18 in the Vallecito Room at Fort Lewis College. 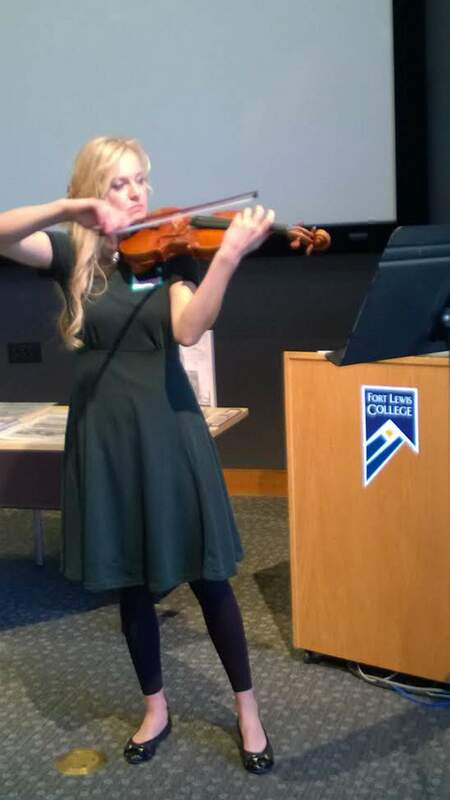 Hannah Howard, the recipient of the Virginia Shoser Scholarship from the Durango Branch of the American Association of University Women, performs the Bach Partita No. 2 in D minor at the branch’s annual Book & Author Luncheon. I go to the Durango Branch of the American Association of University Women’s Book & Author Luncheon to help raise money for scholarships and get the backstory of a local author’s journey. This year, a live concert was thrown in for good measure. 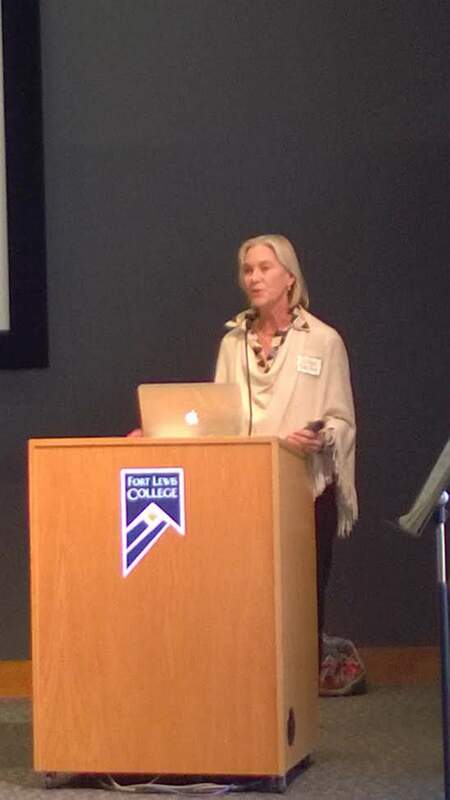 On March 18, Susan Dalton and her book, Durango: A Silver Past and a Golden Future, were the featured attraction at the event, held at the Vallecito Room at Fort Lewis College. The AAUW Cheryl Jackson Scholarship, which needs $25,000 to be fully endowed, stood at more than $14,000 going into the day and more than $16,000 by the time it was over. The branch also uses some of the funds raised to send two Fort Lewis College students to the National Conference for College Women Student Leaders, held at the University of Maryland, College Park in early June. I’ve heard nothing but good things regarding the conference, which sends students back energized and informed not only about leadership, but about entering the workforce and the possibilities of graduate school. The Durango Branch already has two endowed scholarships, which are awarded to nontraditional students. Both are named after longtime members of the branch – Virginia Shoser and Janet Watson – women who believed in the power of education to improve women’s lives. Jackson, whose career was teaching, joined AAUW shortly after moving to Durango, organizing numerous fundraising luncheons to finish endowing the Watson scholarship, so it seemed only appropriate to name the third scholarship in her honor. One of the fun parts of the luncheon was having Watson’s daughter and son-in-law, Donna and Steve Stegner, who now live in Durango, participate in the festivities. This seems like a good place to acknowledge two women who have headed up AAUW’s scholarship efforts. Sandy Brown began chairing the effort in the 1980s and just stepped down last year. And Kathleen Adams has leapt in with both feet to take on a steep learning curve and serve as the new chairwoman. Both women say the most fun part is interacting with the students who receive the money to continue their educations. Attendees heard from this year’s recipients, who both had moving stories of what the support has meant. Demerise “Risa” Cormier, a first-generation college student, has risen from what she called a “turbulent childhood,” and is nearing graduation with a degree in psychology with a 3.92 GPA. She plans to head straight to graduate school, with the eventual goal of becoming a therapist. Hannah Howard got her musical start playing with her family’s bluegrass band, and, after an eclectic few years, went back to school to study violin. Now Suzuki-certified, she will graduate at the end of the month and has 30 students at her violin studio. Howard performed the Bach Partita No. 2 in D minor for a delighted audience. Dalton’s story took us to France, Germany and Switzerland, with stops as a buyer for Bloomingdale’s and family trips from the New York City area to Telluride. Exploring Durango’s heritage, particularly with resources at the Center of Southwest Studies such as the Nina Heald Weber postcard collection, was clearly a labor of love. A small raffle with lots of good prizes raised a large portion of the funds. As always, Membership Chairwoman Marcy Jung managed to recruit a few new members to the organization. Kudos go to Patty Joy, who led the organizing committee to another successful outing. She said she has a list of potential authors for next year. This year marks the 70th anniversary of the Durango Branch, and a celebration is forthcoming. Check back at durangoherald.com for more Neighbors stories and photos. Click on the word “Neighbors” to make sure you haven’t missed any stories. Neighbors runs in the weekend print edition of The Durango Herald.Here’s how to reach me: neighbors@durangoherald.com; phone 375-4584; mail items to the Herald; or drop them off at the front desk. Please include contact names and phone numbers for all items. Follow me on Twitter @Ann_Neighbors.I need photos for all Neighbors items, but they must be high-quality, high-resolution photos (at least 1 MB of memory) and include no more than three to five people. I need to know who’s who, left to right, and who to credit with the photo. Candid photos are better than posed, and photos should be submitted as JPG or TIF attachments.